The mystery of Westgate terror attack deepened Monday as it emerged that State has not retrieved five bodies of attackers who were killed last week. 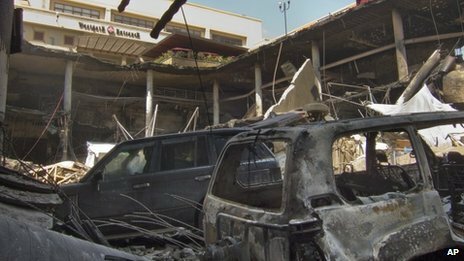 The Kenyan Red Cross has said the number of missing in the Westgate shopping centre attack has gone down to 39 from an earlier figure of 61. Samantha Lewthwaite, dubbed the ‘White Widow,’ and late husband Jermaine Lindsay, who was a suicide bomber in the 7/7 London attacks in 2005. KENYA: The Parliamentary Committee on Administration and National Security wants the Government to close down Dadaab refugee camp in northern Kenya and arrange for safe return of all Somali refugees to their country. We are saddened to announce the death of Rebecca Nyamweya of Hamilton, New Jersey, a native of Kenya. Rebecca lost her fight to cancer on Thursday September 26, 4.00 AM at Saint Francis Medical Center where she had been admitted to the hospice section for two weeks following treatments at Capital Health. Rebecca, 35 years old was the wife of Richard Moindi Isaboke of Hamilton, New Jersey. At the time of her death, Richard was at her bedside. Rebecca is survived by her husband, children Hesbon, 16; Pisgah 11, and Clibin 8. Rebecca was daughter in law to the late Willian Moindi and Lydia Magoma , sister in law to Leonard Moindi, Moses Moindi and Zephaniah Moindi. Rebecca was the daughter of Charles and Esther Nyamweya of Nyansira, Nyaribari Chache constituency, Kisii County, Kenya. She was niece to David Matara Angwenyi, Zachary Moitui, Rogers Akama, Paul Ondari, Peter Masongo, Samson Moitui, Caleb Moitui, Agnes Moitui, Fr. Chris Isinta among others. Rebecca was cousin to Danvas Omare, Richard Maburi, Geofrey Moitui, Washington Moitui, Rehema Moitui, Risper Omari, Ruth Ogega, Amaya Moitui, Milfa Moitui, Pastor Kayus Mose, Natfali Miranyi, Edward Kenyaga, Nehemiah Isaboke, Ronald Mosota, Elijah Giteya, Tom Omwae and Jackline Nyandieka among others. Rebecca was Granddaughter to late Angwenyi Mageka, Nyanchoti Mageka , Magoma, James Sieberi, Hellen Kemunto , Abuga Maya, Bosibori Abuga among others. A fundraiser has been scheduled for Saturday, October 12, 2013 at Robbinsville SDA Church located on 2314 Route 33, Robbinsville, NJ 08691 As from 5:00PM. We are making an emotional appeal to the Kenyan Community, friends of Kenya and people of goodwill to open up your hearts and donate generously towards the expenses which have already been incurred. It is important to tell you that the husband was not working for the last one month as he chose to stay at his wife’s bedside as her condition deteriorated .As a community we are known to rise to the occasion. If for any reason you may not be able to attend the fundraiser please post your donation with the account provided or you may send the same through any of the contacts given. We wish to thank in advance our community choirs; Muungano Youth Choir and Maranatha Church Choir for graciously agreeing to provide support through the gift of music, they will entertain those in attendance. Kindly pass this message to all your friends as we looking forward to see you on the 12th. Oct 2013.Let us all join hands and celebrate the life of this young lady. May the Almighty God continue to bless you. Donations can also be made through the Robbinsville SDA Church-Isaboke Fund on the Check Memo. Checks can be mailed to Richard Children Fund, 132 Samdin Blvd, Hamilton, NJ 08610. Relatives And Friends Are meeting Daily At David Matara’s Residence at 132 Samdin Blvd, Hamilton, NJ 08610. TO THE FAMILY,FRIENDS,WELL WISHERS AND THE GENERAL PUBLIC. 6.00–6.45–Snack and refreshments,courtesy of Robinsville SDA Church where Rebecca’s family are members. Please note Muungano SDA Youth Choir will grace the celebration of Rebecca’s life on earth with songs of choice. MONDAY OCTOBER 14TH. REBECCA’S FINAL JOURNEY ON EARTH. May The Lord Bless You And Guide You Throughout Until The Last day Of Her Celebration. 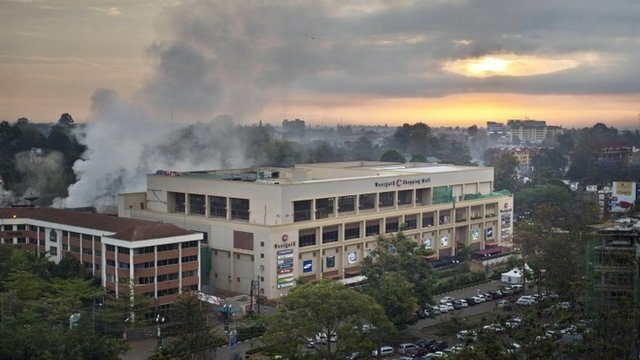 The militants who led the attack on a Kenyan mall hired a shop there in the weeks leading up to the siege, senior security sources have told the BBC.